As one of the first Carpet One stores serving the local community, Carpet One Floor & Home Design Center has been family owned since 1995. As well as providing an extensive selection of Green Select Label naturally renewable cork, beautiful bamboo, tile, hardwoods and carpet that meet earth-friendly standards; we make available the best in well known products from the finest flooring manufacturers. Owner Scott Carston has maintained his goal of offering a vast selection of flooring and window covering solutions to the Napa Valley. Having grown up in St Helena, Scott values his community and strives to offer high quality products with superior service to match. 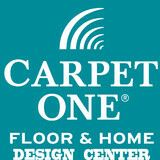 Carpet One Floor & Home Design Center supports Napa Little League, Toys for Tots, and the JDRF Foundation. 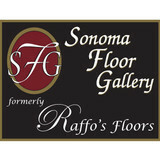 Sonoma Floor Gallery, formerly Raffo’s Floors, offers custom design options for your flooring needs whether it is to custom finish an existing floor, or show you our choice of engineered flooring products. We have finishes that are fumed and baked, as well as, finishing and creating the right stain for the right design theme of your home. We have been in business 16 years as Raffo’s Hardwood Floor Co., but we are expanding our showroom after 1 ½ years and moving to a larger showroom. We are excited to include tile and window coverings. If you have questions about our hardwood flooring products or services, please call us at 707-939-1940. 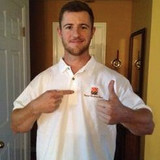 You will always receive a free estimate! 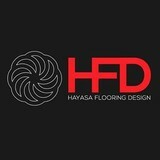 We hope you’ll make Raffo’s Hardwood Floor Co., DBA Sonoma Floor Gallery, your choice for hardwood floors in the Sonoma, California area. Let us know if we can schedule an appointment to see our showroom. Thank you for visiting. We are a family owned and operated company that opened in the East Bay in 1946. We have installed floors in residences, businesses, museums, and theaters around the San Francisco greater Bay Area and Sacramento area. There is no doubt involved....flooring sells your house. It also makes a huge difference in how you feel when you are there. We pride ourselves on quality installation and service. Get a quote for your home now! Five Star Floors offers 22 years of experience in custom hardwood floors in the Bay Area! Our team has installed all types of hardwood floors: pre-finished hardwood, reclaimed, unfinished hardwood, and laminate flooring. Because of its natural beauty and relatively simple maintenance, wood is a smart choice for floors. We understand that your hardwood floor will be part of your day-to-day life for years to come, which is why we work so hard to make sure it offers great value and a lifetime of enjoyment. Our extraordinary work ethic and attention to detail are reflected in every project we complete. After all, purchasing or refinishing a wood floor is an investment. Unlike most Bay Area companies, we make every effort to restore or refinish existing floors before recommending a new hardwood floor. We'll also deep clean and polish existing floors offering a cost-effective solution for clients on a budget. CALL - SELECT - INSTALL At 123-Floor, we know that quality is important to you. It’s something we value as well, and that’s why we choose to work with only the highest quality brands and products available on the market today to assure that you’ll be happy with your flooring investment for years to come. We’ve tested these products in the field and compared them against the competition. We rely on over 20 years of experience in matching the appropriate flooring materials to suit your needs. We are intimately familiar with their quality and installation methods, and we stand behind them. What kinds of services do hardwood flooring installation professionals in Vallejo, CA provide? Find hardwood floor experts in Vallejo, CA on Houzz. Search the Professionals section for Vallejo, CA hardwood flooring installers and dealers or browse Vallejo, CA photos of completed installations and look for the professional’s contact information.